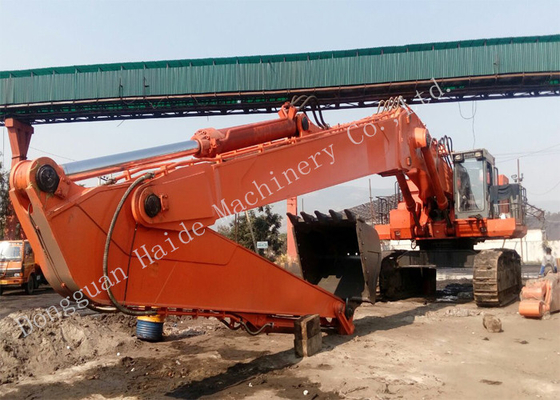 1, Our company established on years 2006, we have over 10 years experience in designing and customize the long reach boom for all brand excavators. 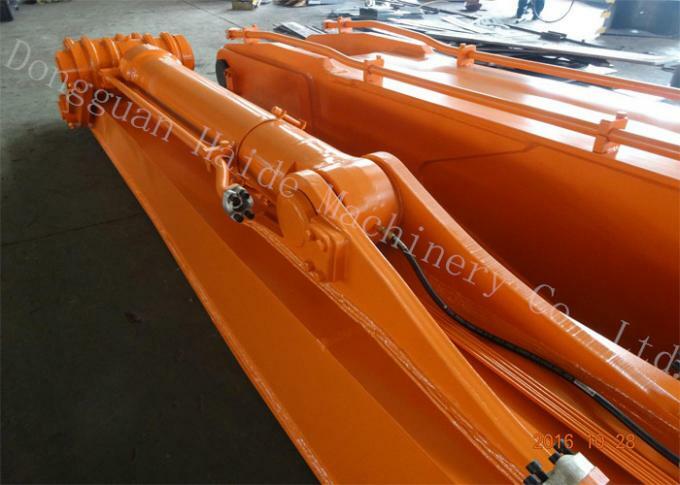 We are the biggest long reach manufacturer in Guangdong. 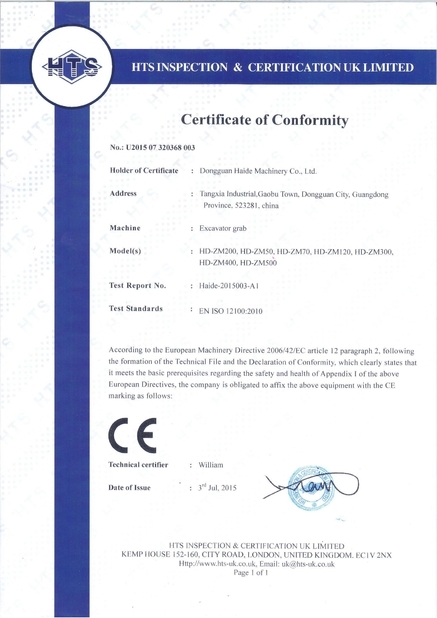 Technique is in the line with global standards. 2, We have all the installation dimensions of EX1200-5, so don't worry about the installation size. 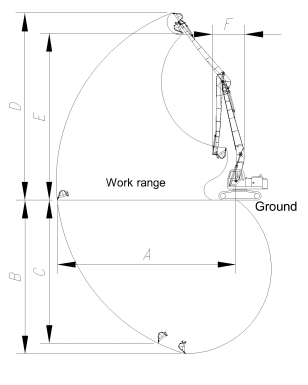 3, This long reach total length 28 meters, bucket is 1.8m3 rock bucket, and 6 ton counter weight. A full set included lubricant system, hydraulic system, 1 counter weight with 6ton, 1 rock bucket with 1.8cbm, 1 bucket cylinder, 1 linkage, 6 pins and 4 hoses. 4, The bucket cylinder use 100% Sany cylinder. 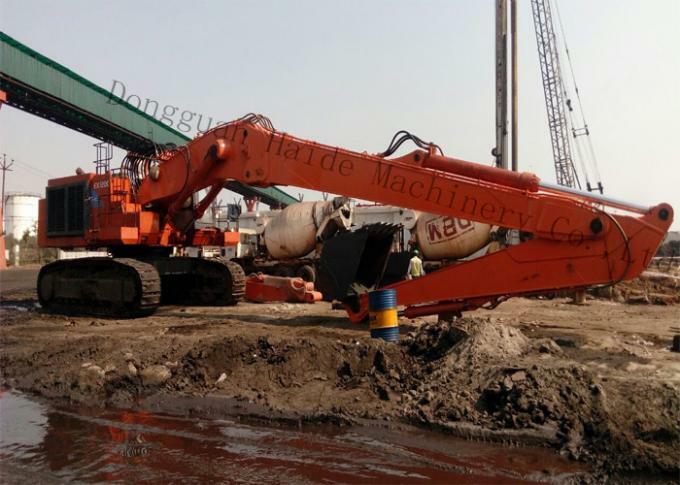 5, The main material of this long boom is Q345B + Q690D, the top and bottom cover plate use Q690D, other place use Q345B. 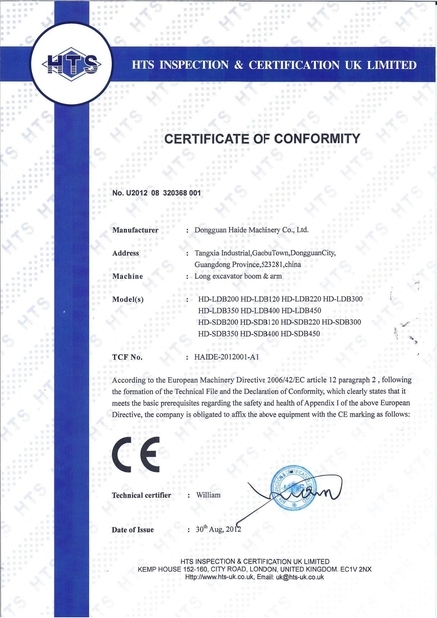 Weldox also optional to suit to your application. 6, The boom length is 15.5meters, arm lenght is 12.5meters. As the boom length is over container length(12m), can't loaded into normal container, so for easy to load and transportation, we make the boom with 2-section design. We promise this design no any bad effect on use. 7, This long reach was exported to India market, for heavy duty work condition. 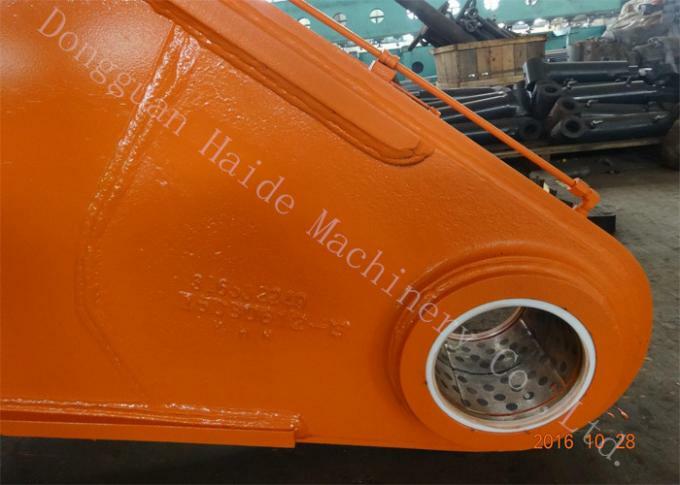 Before welding, we have use big edge milling machine mill(taper process) the edge of the sheet, make the structure have higher performance. 8, The boom base was casting parts. 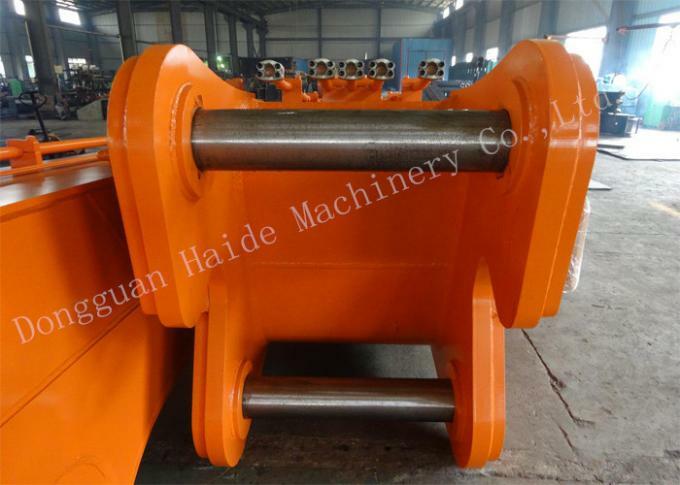 9, For all base,joint and other main structure of the long boom, we use boring machine adjust the precision after welding, to avoid the welding-stress leading to big tolerance. 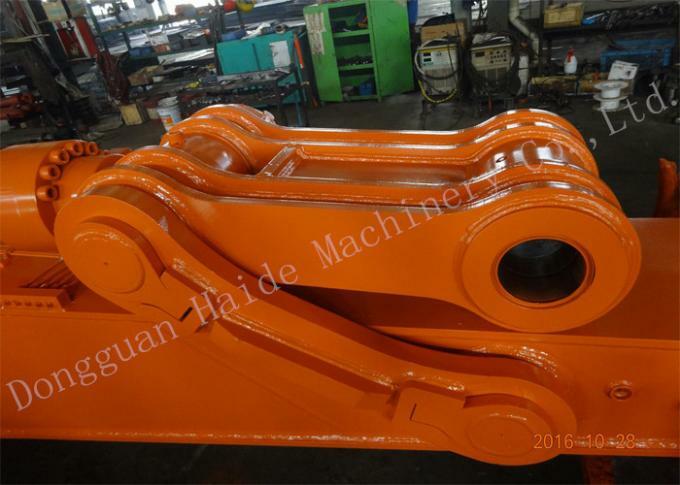 10, The manufacture time about 20 days for big excavator long reach. Warranty time 6 month(180days) after installation.